Sant Feliu de Guixols is a relaxed resort on the Costa Brava in the province of Girona in Spain's Catalonia region. It is home to a large medieval monastery. 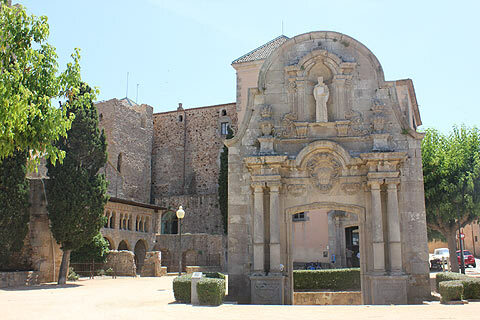 Sant Feliu de Guixols originally grew up around its 10th century monastery. This is an impressive building which is now home to a museum with exhibits linked to the town's history. The town now stretches out parallel to the beach and the monastery in Placa Monestir sits quietly on the southern edge of town a little out of the main action. 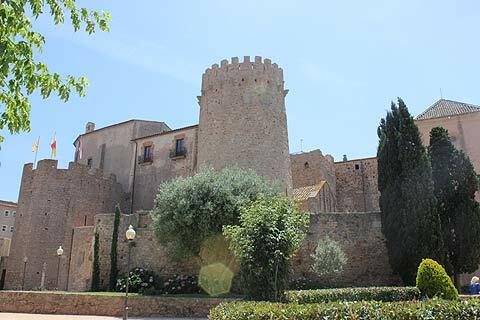 This building includes the Porta Ferrada which is thought to have been the palace of an abbot or one of the governors. 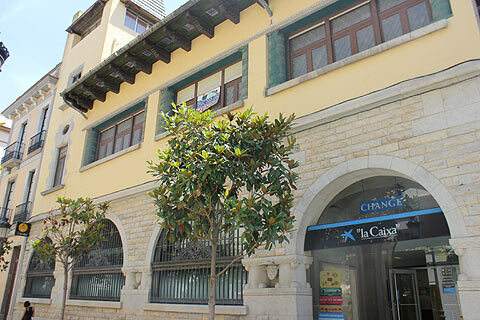 The town is an interesting mix of colonial and Moorish architecture and its most striking building after the monastery is its Moorish-looking casino, the Casino La Constancia also known as the Casino dels Nois, which faces the beach. 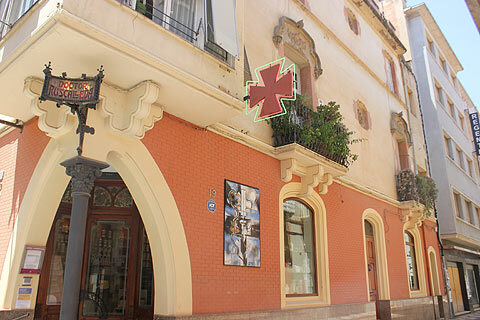 The Passeig del Mar alongside the beach contains a number of interesting colonial buildings and behind here on the Rambla Portalet is the Casa Patxot in Modernist style and now a bank. 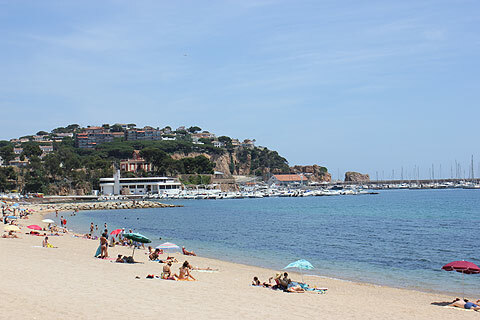 Sant Feliu is much quieter than Lloret de Mar and Tossa de Mar a little to the south and less chic than Llafranc and Tamariu to the north but makes for a pleasant resort. It has a good size sandy beach though the sand is a very course, gritty sand - not the best! Every summer Sant Feliu de Guixols celebrates the festival of Porta Ferrada. This is the oldest festival in Catalonia and one of the most important. It takes place at various venues throughout the town and includes music, dance and theatre. Take the GI 682 road to Tossa de Mar. This is a very scenic drive along the corniche. Be sure to drive the few kilometers north to the small resort of S'Agaro. Every house in this village is built in the Modernist style and was designed by one of Anton Gaudi's students - Rafael Maso. This exclusive resort stretches from the bay at Sant Pol to the wonderful Cala Sa Conca beach and the resort consists of only 60 villas. 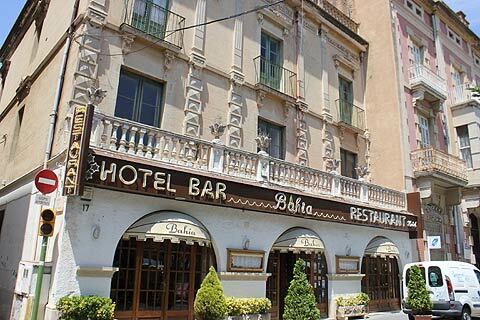 The luxury five-star hotel - the Hostal de la Gavina is here and over the years many of the rich and famous have stayed here including Orson Wells, John Wayne and Sean Connery. The Sant Pol and the Cala Sa Conca are thought to be the two most beautiful beaches on the Costa Brava.